This year, a special book was published. This one-of-a-kind book was published by the botanical artist club at William Jennings Bryan Elementary in Miami, FL. Illustrated by botanical artists ranging in age from 6-11, The “Greening” of W.J. Bryan Museums Magnet Elementary School features 20 plants of the more than 300 native and non-native plants donated and planted at the school by Fairchild Tropical Botanical Garden. The partnership between W.J. Bryan and Fairchild Tropical Botanical Garden has enhanced the student’s outdoor learning environment, increased the tree canopy at the school and has created a rich environment in which to cultivate an appreciation for nature. The plants on campus are mostly Florida natives and Caribbean plants adapted to the Florida climate. This collaborative gardening project began in 2008. A large-scale planting party involving students, staff, community organizations and volunteers followed in 2009. The W.J. Bryan Elementary Museums Magnet School formed their botanical artist club during the 2009-2010 school year. Fairchild Tropical Botanical Garden paid for two botanical artists to lead a one-day workshop for students. Inspired by their new way of seeing, students drew plants throughout the school year to fine-tune their illustration skills. During the 2010-2011 school year, a group of students created 14″ x 20″ colored pencil drawings. The drawings were photographed, the images reduced and printed with pigmented color ink on archival paper. They were then inserted into a hand-bound book. The Director of Fairchild Tropical Botanical Garden and the Director of Education were impressed with the book when it was presented to them by Rosemarie Wolfson and Susie Morton, lead teachers at the school. The Director of the Garden wanted to feature the book in the gift shop and this is where it is now available for purchase. Proceeds from each sale are donated to W.J. Bryan Elementary School. Today students help to maintain the school’s new botanical garden. Plant labels were installed and the garden now looks a little like the tropical garden at Fairchild. The garden has been a great learning tool and is an extended classroom for the students, faculty and staff at W.J. Bryan. All have become more environmentally aware and more concerned about their own carbon footprint. What is a museums magnet school? In 2004 and 2007, Miami-Dade County Public Schools (M-DCPS) received two multimillion dollar grant awards from the United States Department of Education for funding under the Magnet Schools Assistance Program, which afforded the creation of museums magnet schools in the District. Museums magnet schools forge strong partnerships with local area museums and cultural institutions in Miami-Dade County. Museum educators work side-by-side with classroom teachers, interfacing the standards-driven curriculum with the objects and artifacts in their respective museums, as well as visiting historic buildings and sites throughout the county. This integrated curriculum, focusing primarily on object- and project-based learning, emphasizes problem-solving, communication, exploration, invention and inquiry through on-going visits to museums and cultural institutions. Instruction at W.J. Bryan follows the principles of object-based learning. In this type of learning environment, teachers do not tell students what an object is, what it does or how it’s used. Instead, students are given objects to investigate. Students investigate an object’s physical features, construction, function and design then assess its value to society. They then decide if the object’s design fits its function. Everything students do at the magnet school establishes a connection to society and the world’s ecosystems. As the school’s ambassadors, students lead docent tours of the school’s historic buildings and members of the botanical artist club lead tours of the gardens. Federal funding for W.J. Bryan Elementary ended in June 2011. The school seeks to supplement funds currently provided to them by the M-DCPS office of School Choice & Parental Options. Sales of The “Greening” of W.J. Bryan Museums Magnet Elementary School assist the school’s efforts in becoming a self-sustaining entity. Copies of this unique collection of botanical drawings can be purchased at The Shop at Fairchild and ArtPlantae Books for $18 plus shipping. Proceeds benefit W.J. Bryan Museums Magnet Elementary School. Call The Shop at Fairchild at (305) 667-1651 (x3305). 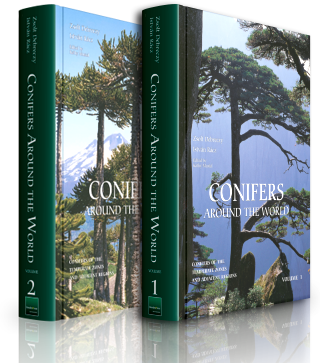 Order online at ArtPlantae Books.